You can have a prestigious physical address without the price tag. 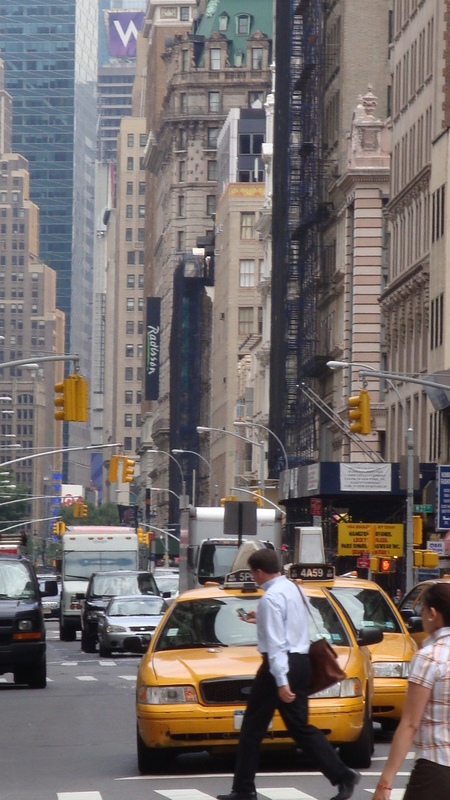 With a New York City Virtual office, you are given a physical office address on Broadway, in Manhattan. If you were to lease a traditional office space in that area, you can expect to pay thousands of dollars each month to have the same address that you have with your virtual office space. If you don’t need physical office space every day, but would love to have a prestigious address for your clients to send mail to, then why not chose a virtual office option. With a New York City Virtual Office, you can even choose which address you’d like for them to send your mail to, so you don’t have to be inconvenienced by picking up yourself. There will always be a receptionist at the space to greet your clients. When your clients show up for a meeting, there will always be friendly staff waiting to greet and assist them. This means that you won’t have to pay for a personal receptionist, and can rest assured that your clients and visitors are being well cared for in your absence. Having a trained staff on hand at your virtual office will convey success and professionalism to your visitors. 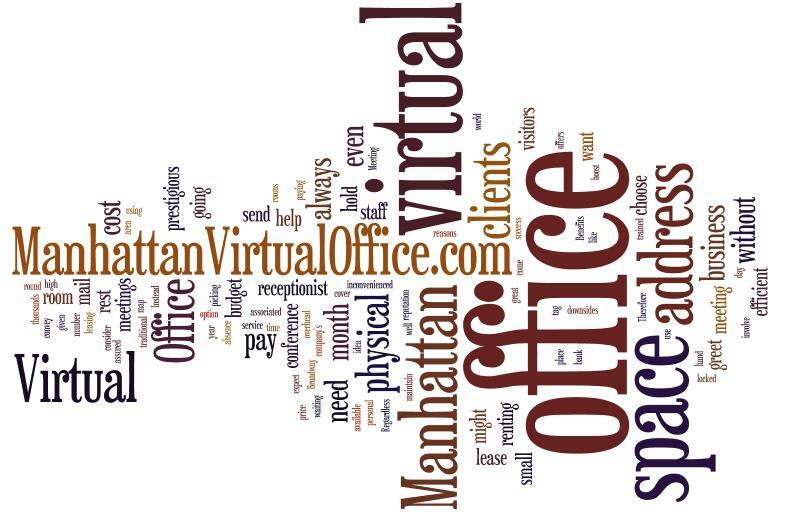 The virtual office service that Manhattan Virtual Office offers is second to none, and will surely help to boost your business’ reputation. Meeting spaces are available should you need them. You probably don’t want to pay for a meeting space year round if you’re only going to be using them once a month. Therefore, why not choose a virtual office space instead. You can hold meetings when necessary, and not have to worry about paying a small fortune to maintain an office you’re not even going to use for the rest of the month. Having a virtual office address and with a physical location is the most cost-effective and resource efficient way to stretch your company’s budget. 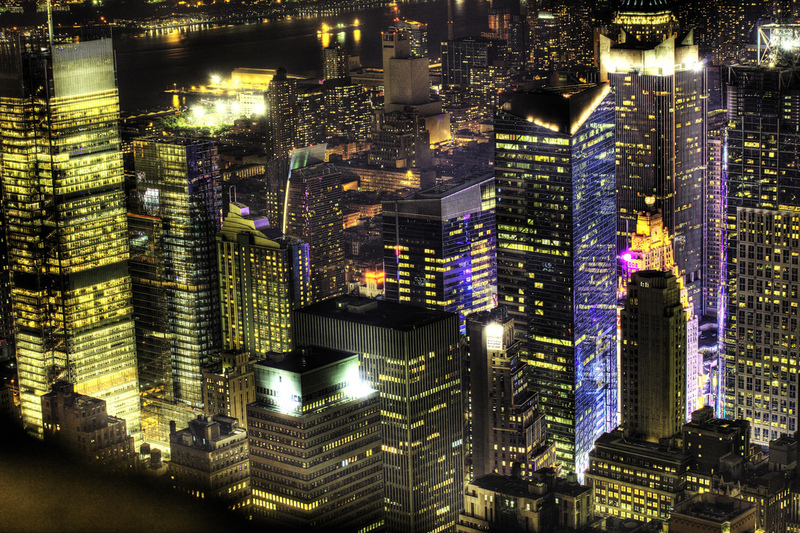 Regardless of where you are in the world, New York City Virtual Office can help put your business on the map, without breaking the bank. If you subscribe to a year of virtual office service (12-months) today, we’ll add 2-months onto your term for free. That’s up to a $160 value. Simply enter promotion code 5122MONTH in the promotional code section of the online virtual office application, accessible from our Order Now page. Please note that this offer is valid for new approved clients only. Offer may not be combined with any other offer. Applicants must complete the online application order form by 11:59pm on Sunday, May 6, 2012 and have complete their applications prior to 11:59pm on Monday, May 7, 2012. After the 14-months are up, you can opt to renew service at the standard published rates. Current rates for renewal are from $25-$80 per month for the virtual office address rental. You can select to have your mail forwarded daily, weekly or monthly. Service charge of $00.50¢ per piece plus postage. Mail pickup is available by appointment and is a flat $3 per pickup. Meeting space available at $25 for the first hour and $15 each additional hour. An initial $25 deposit required for any account activity costs, for example, mail forwarding costs. Account setup takes just one business day from receipt of your completed application. How Easy is it to Open a Virtual Office? It’s a simple process and it takes just about 1-2 business days to get you up and running with a physical office address, reception and any phone / fax services you require. Our 222 years of experience provides for a simple, quick and easy process of opening your Virtual Office. When you are ready to proceed, simply visit our website, and click on the ORDER NOW button. Order the services you require online, enter your details and submit! Once you complete your application, you’ll receive an email within 1-2 business days with your virtual office details. When your account is activated, all services are instantly available to you. You can start receiving mail the next day. You can book a meeting space for the following morning. Apply today, your staffed office is waiting for you!